Only Certain People Should Go Natural…? I naturally have that so called ‘hard’ kind of hair. Many people who meet me, don’t believe me and it almost becomes a contest to determine who has ‘harder’ hair. I can forgive them because before I went natural, I believed that my hair was the so called ‘ugly’ kind of natural hair that no one wants….praying that what sprouts from my scalp will be curly and springy strands only for them to… not be. And I get so many compliments when my hair is stretched. But really though why is the above more ‘acceptable’ and revered than below? would I still do the twists? your hair for what it is. It’s a battle many of us don’t ever win. I’m glad to say that I now no longer think there’s such a thing as only people with a certain hair type or curl type should go natural. If it’s loved, it’s beautiful. Now, I think that the only people who should go natural are those willing to learn how to care for it. Behold, my hair in all its shrunken, hard, unmanageable and not-as-funky-as-the-streched-out-fro glory! This is for all the women who believe their hair isn’t ‘beautiful’ enough or isn’t the ‘right’ curl pattern to go natural. aisha i m really inspired how u wear your hair even in her tweenie stage. I have exactly the same type of hair. Combing it is a nightmare. So hard and coarsely packed. U can't make it any softer. Have been natural for a year now. I prefer doing braids so as not to deal with my hair everyday. 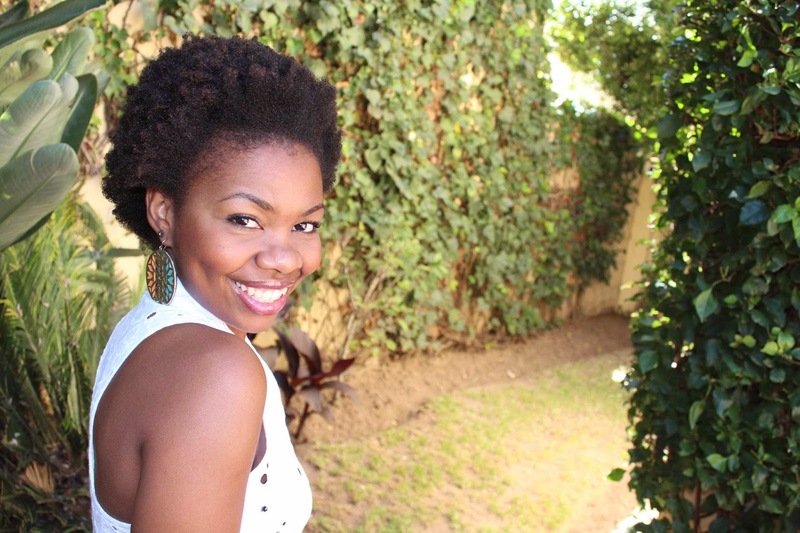 Can a perm damage the natural hair journey? What can I do to make it manageable and soft? Am at a verge of tears lol…. If you perm your hair you're no longer natural. Have you tried stretching it? Or only combing it whilst damp with some conditioner? Finger detangle first before running a comb through it. Begin combing at the bottom of the hair shaft and work upwards. Find some more tips on the Newbie Natural page. Oh wow this is exactly my hair,shaved the whole thing off June 2013 & iv been trying to figure out what to do with it as its really thick and hard as well.Ild try the look no extensions/no stretching and let y,all know how it turns out!.*sigh*. My 'hardness' is overcome with using products that suit my hair, keep it moisturised and keeping it stretched as often as possible. I'm at the almost 9 months post big chop and this week I just realized that wearing wash and gos are not for me, not because I don't like my hair and how it looks but because of how matted it becomes and detangling is a chore. Of course we all know that knots can lead to breakage and split ends so, even though I've enjoyed wash and gos now its time for twist outs and bantu knot outs. I have accepted my hair texture for what it is, I have yet to achieve a bantu knot out or twist out which is defined but that is absolutely fine. So for me its not about the look but more so for manageability. Ditto. And it's the same with me. I'm just glad now that I know the reason why I don't do wash and go's or leavign my hair shrunken is because of knots – not because of vanity/insecurity about how my hair looks. I too was told the same when I told my Family that I don't want to relax my hair anymore. I was told only Caribbeans can keep natural hair and now that my hair is long, i get compliments. It's not that people don't like the shrunken look, its just that they like the longer hair better. 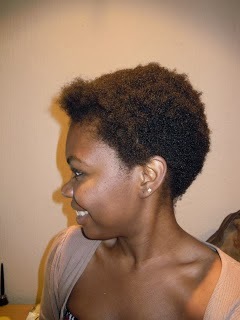 Lots of naturals say they get compliments with their longer hair than when it was in a TWA. 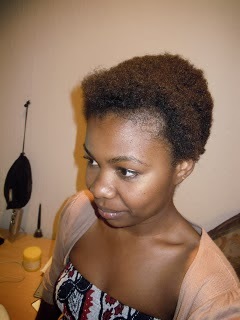 I use to wear shrunken looks when my hair was a bit shorter, but it's too much work detangling if i ever dare do that. Yup! That's another post – the longer/bigger fro vs the shorter fro. Caribbean person here. That is very funny what you said. Black caribbean girls get told many other things depending on their family situation or where they are located: only for mixed people, deeply religious girls, natural hair is for kids, you're not African, your hair is too tough, you are too dark, it does not look good and bla bla bla. Thank you for reading and commenting 🙂 As a woman, it's hard not to contemplate conforming. The pressure is around us everywhere! Asante for posting this Aisha! I've always been bothered by how there seems to be an obsession with "loosening your curls" for women with kinkier strands. 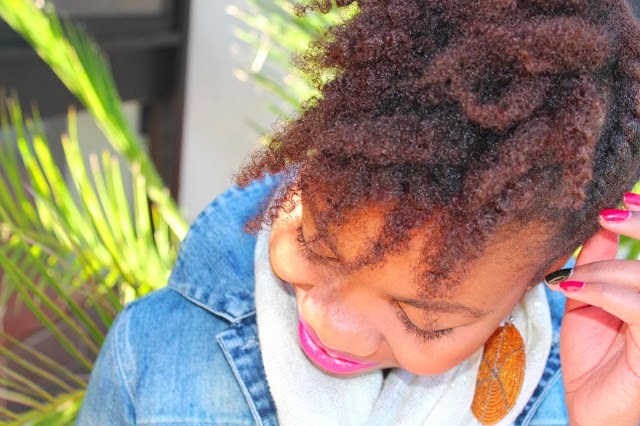 I've got nothing against twist-outs, braid-outs, etc (I actually love them!) 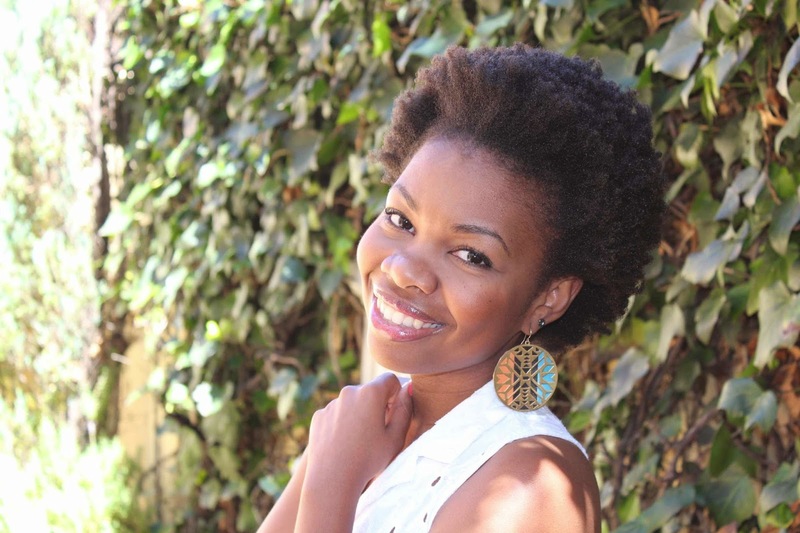 but I feel that if we're truly embracing our hair then that should include rocking it in its completely natural, shrunken, nappy state – that too is beautiful! Exactly! 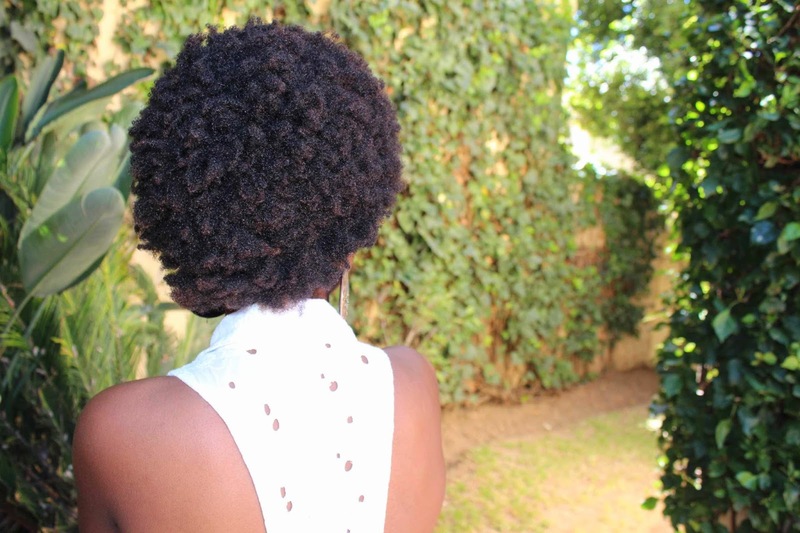 Tangles and breakage aside, we should be rocking our shrunken fros proudly – and when we can! I thought you were going to agree with the statement "Only Certain People Should Go Natural…?" and I felt disappointed. Thanks Heather! I could never agree with that statement – it would mean I don't love my hair! This is a GREAT post. I always say, we are our worst enemies. Let's stop the battles and accept who and how God made us. Very interesting post. I personally lack time and I am not good or too lazy for making small breading or twisting in the evenings. However, I enjoy my 4 c natural hair most of the time as you have your's in the last picture of the post. I receive compliments most of the time from European people but criticisim from mostly my family members. Thanks to God I like my hair the way it is and the way I wear it. I can't do more for the time being. The issue is not only those going natural it's also people they have to face. I have always been strong enough not to listen to negative comments on my hair but some are quite strong and disappointing, believe me. Oh I believe you, because I still experience it to this day. 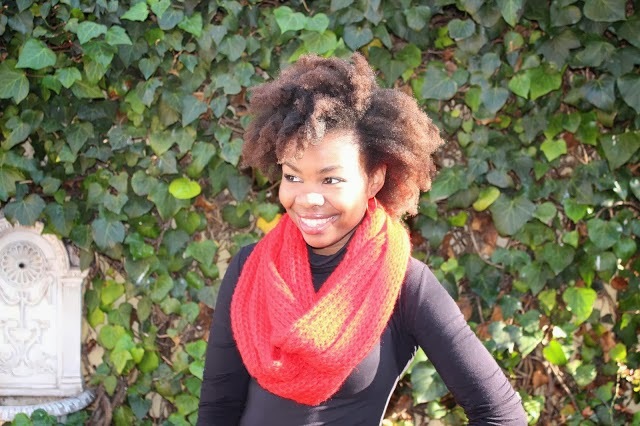 People always expect to see me with a certain type of hair style then when I rock up to work/social gathering with it looking more natural than a twist out it's like "huh…you didn't do your hair today…"
Great post. Reminds me of this video Chary Jay video uploaded yesterday of her "Naked Hair". I am going to read the article you linked above, it sounds interesting. You and your hair are beautiful, stretched or unstretched. I agree with you that stretched hair is easier to manage but non-stretched hair is still beautiful. It's awesome that we can swap and change 'lengths' and looks when we want. I think that's so cool. what do you mean "not as funky"??? i personally love shrunken hair and i've learned how to manage my hair so it doesn't break off or know so much even when i let it shrink to the max. natural is for everyone and the idea that it isn't is baffling to me because ultimately what is being said is that "whoever or whatever created us" made a mistake and i cannot accept that fact. oh you spoke for me here. i'm sharing this post on my blog and on all other social networks. people need to know that my going natuaral is not for them but for me.